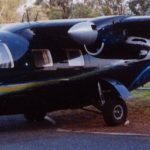 This aircraft was built in Darwin by Ron and Annabelle Lawford. Construction commenced in late 1983 and the aircraft’s first flight was 29th December 1986. 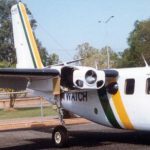 This aircraft has flown over 1450 hours to all locations in Australia. It was the second to be built in the Northern Territory. See description of the aircraft on Wikipedia.